And now, a former state archaeologist is saying it’s fake! There’s a bit of a brouhaha in the Irish Times about it today. Don’t know if you can get much snarkier than saying that one of the best-known features of a Neolithic passage tomb, UNESCO World Heritage site, and bringer-in of much tourism is “younger than Disneyland”, but archaeologist and former co-director of the Office of Public Works National Sites and Monuments Record is in the news for pretty much saying just that, saying that the roof-box that is precisely aligned to let the first strains of Winter Solstice sunlight to light up the passage into the burial mound is a construct less than 50 years old, and only has that alignment because his former teacher, the late Professor Michael O’Kelly made it that way. Oops! Now don’t get me wrong . . . Newgrange is awesome. And if you come to visit Ireland, I highly recommend going to see it. It’s also, like Stonehenge, a bit of a bad restoration job apparently. Considering that Gibbons has another publication titled “Skellig Michael: Restored to Death” (History Ireland, 2007), he just may have a bee in his bonnet about bad archaeological restoration. 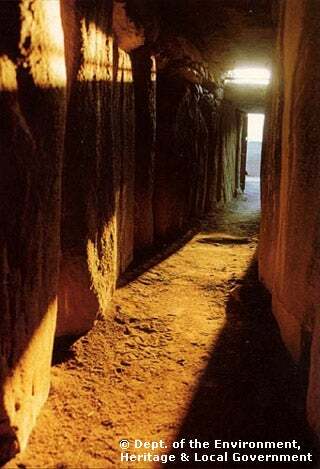 Also, he argues that Prof O’Kelly ignored Newgrange’s greater significance as an Iron Age burial site for elites with a connection to the Roman Empire. Of course, there’s a rebuttal from another archaeologist — a Dr Richard Hensey who just published a book on the origins of Newgrange. The upright stones just needed straightening, he says!